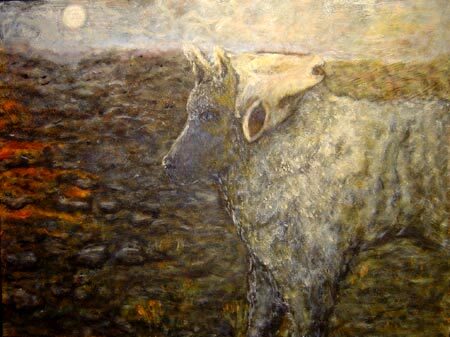 Austin Manchester: Oil Painting "wolf in sheeps clothing"
AUSTIN MANCHESTER IS A FINE ARTIST CURRENTLY LIVING IN the south of france. HIS OIL PAINTINGS HAVE BEEN EXHIBITED IN AMERICA AND EUROPE. THIS SITE IS AN INTRODUCTION TO HIS WORK. SITE DESIGNED BY FLYWHEEEL STUDIOS AND MAINTAINED BY HANNAH JENNINGS DESIGN.